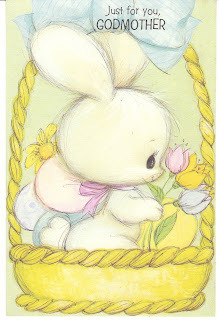 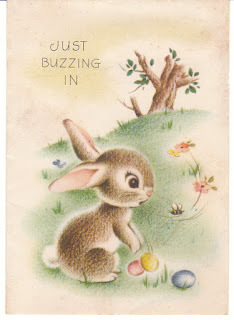 I have some lovely vintage Easter cards and postcards for you this week -- and many more in my store next week as well. You will find these cards at Birdhouse Books on eBay. 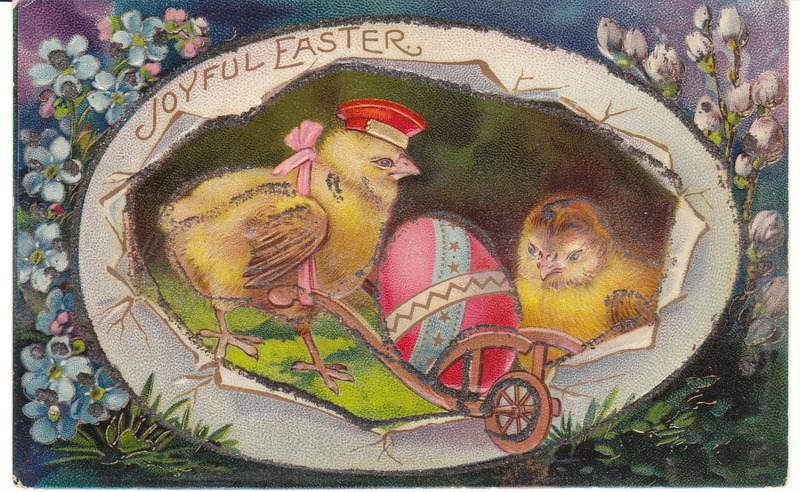 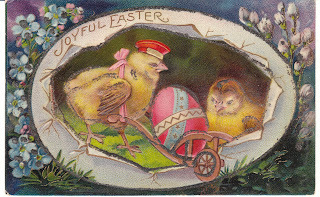 Vintage Easter postcard featuring little chicks with an Easter egg cart. 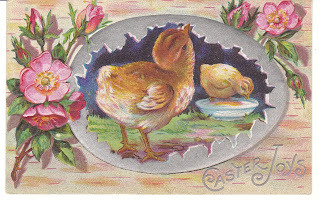 1911 vintage Easter postcard with two sweet chicks and pink dogwood blossoms. 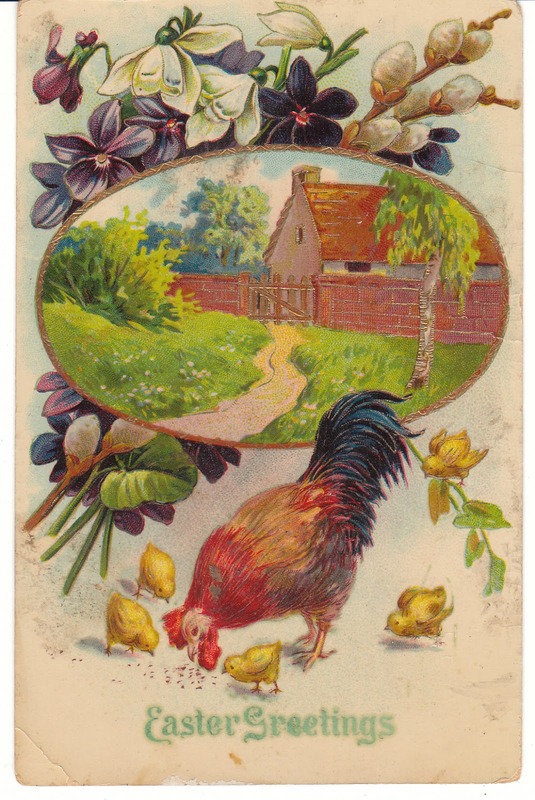 1911 vintage Easter postcard - gel card with a farm scene and chicken. 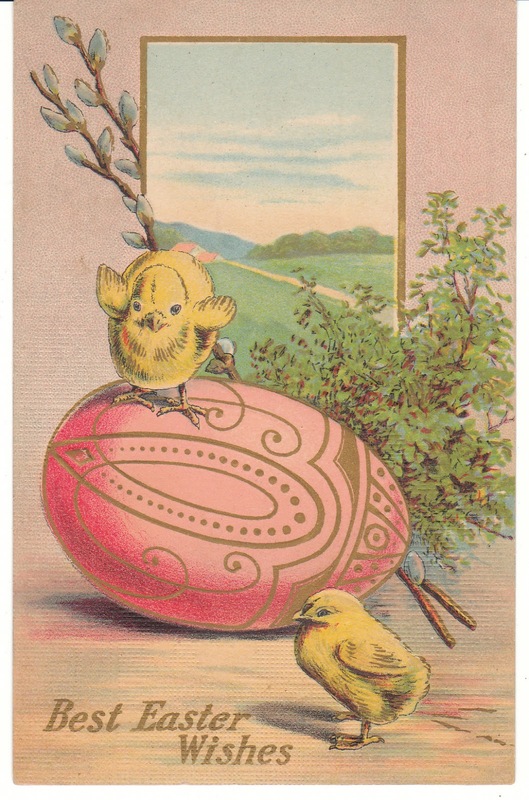 Vintage Easter postcard with two little chicks and a pink Art Nouveau Easter egg. 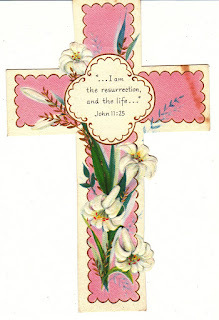 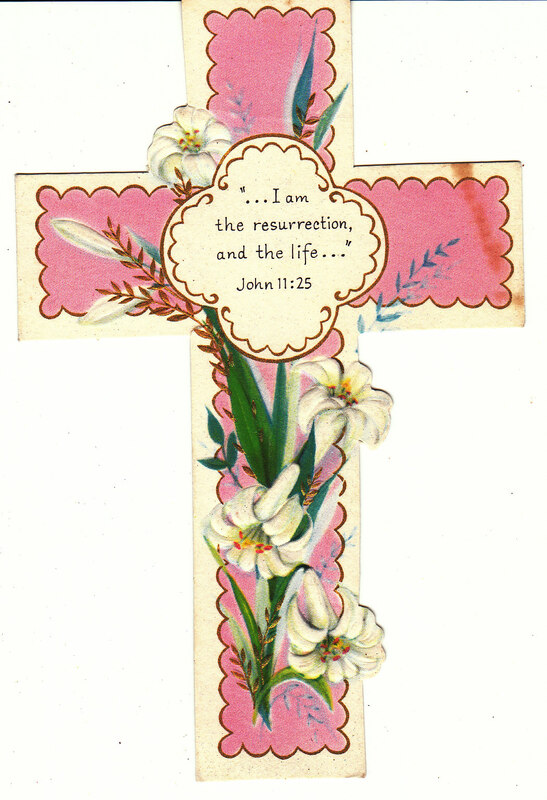 Vintage Easter card by American Greetings - a pink embossed die-cut cross. 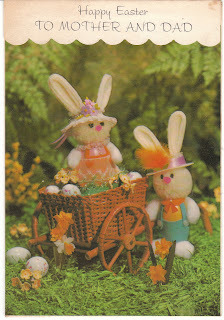 1960's vintage Easter card with an acetate photo of two cute toy bunny rabbits. 1960's vintage Easter card with a sweet white baby bunny - from child to godmother. Die-cut vintage Easter card with a dressed duck (mechanical - duck's head moves). 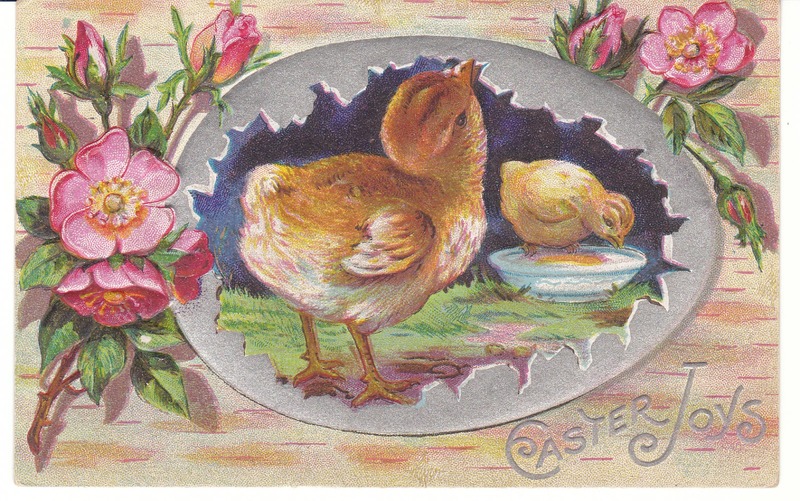 Vintage mechanical Easter card - a dressed bunny and chick garden together. 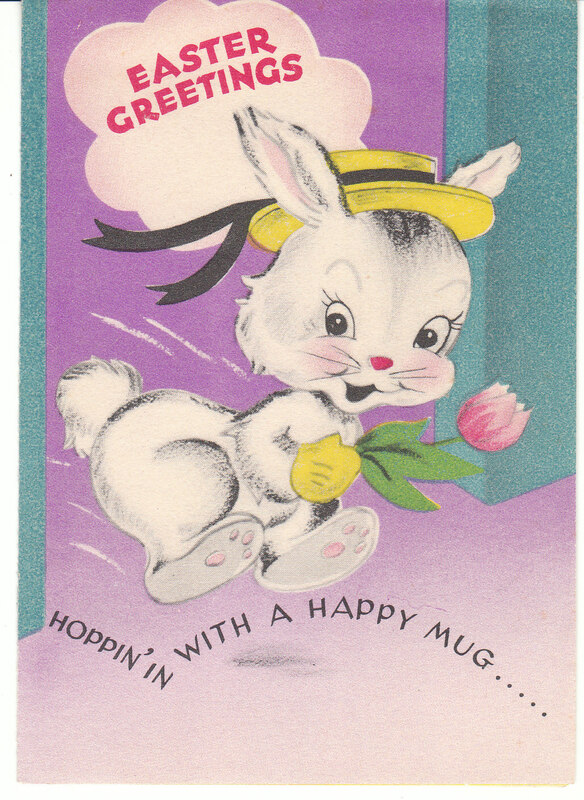 A sweet bunny rabbit hops along for a bunny hug on this vintage Easter card. 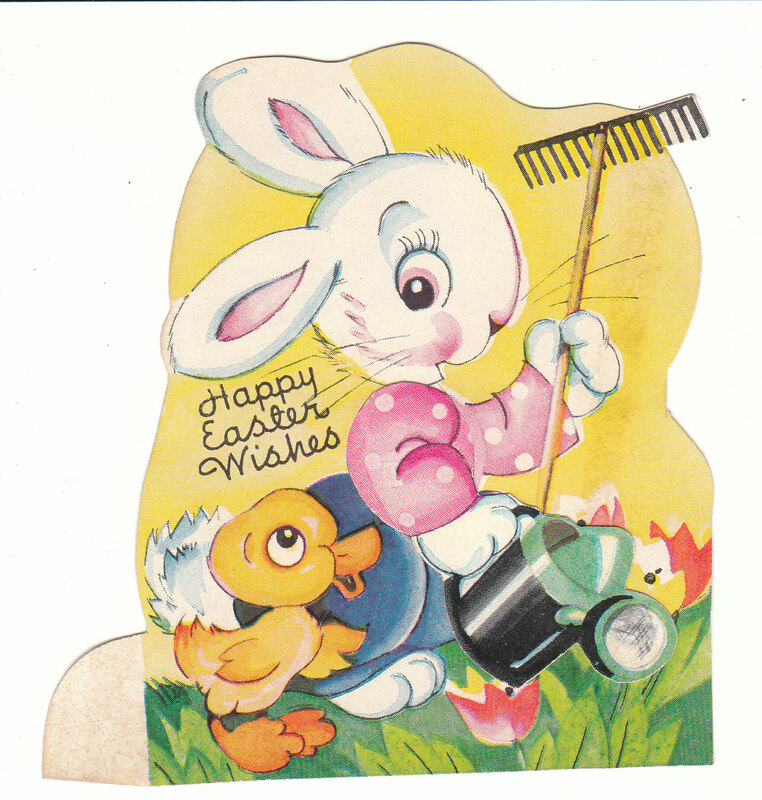 Vintage Easter card with a bunny rabbit hiding Easter eggs. 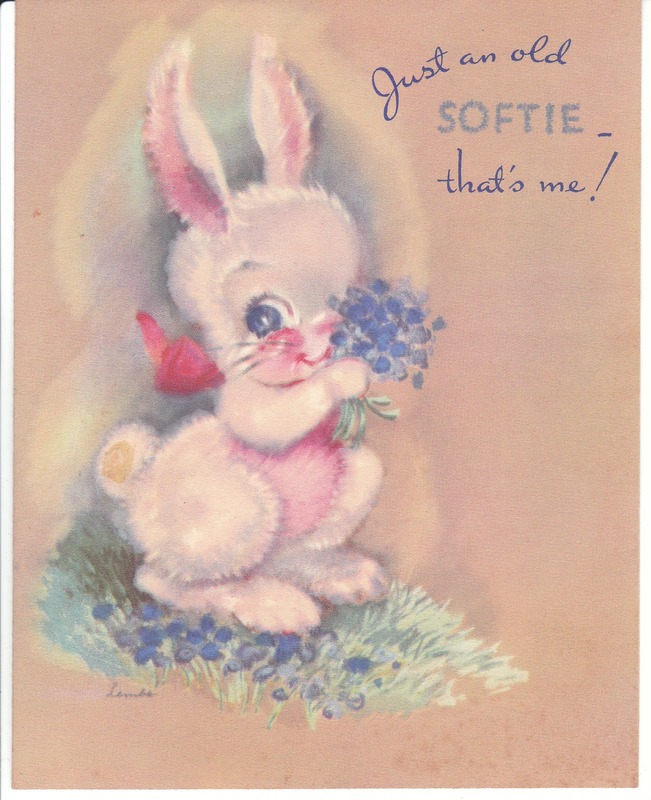 1945 vintage Easter card with a shy bunny rabbit - "just an old softie." 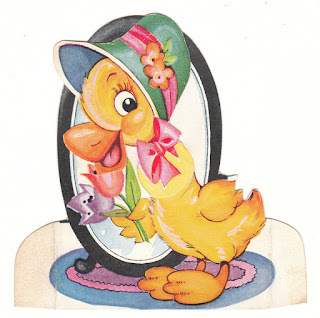 I hope you enjoyed this peek into Birdhouse Books. I'll have more Easter cards for you next week as well!